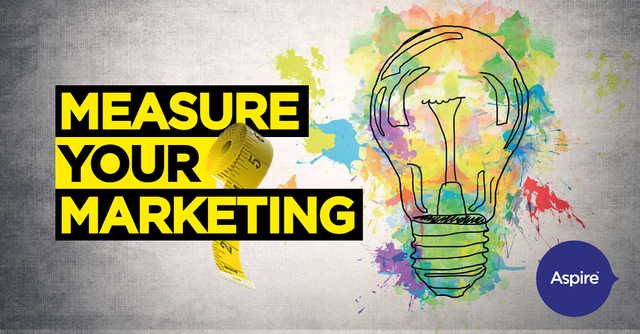 If you currently measure your marketing, great! I'm sure you're doing it really well. If you don't, then the first four words of the title massively apply to you. While your content may be excellent, how well do you measure it? And is it done effectively to hit your targets within the business? I can’t stress enough how important it is to measure your results. How can you expect to learn, improve and hit those yearly targets without understanding what aspects of your strategy need to change for you to move forward? Marketing campaigns, blogs, social media, events are all great in principle but without establishing key performance indicators (KPIs), to clearly see what works and what doesn't, then you can't truly be confident that your investment is actually being spent on channels which generate a better ROI. Only when you know the channel/platform your message is most powerful on, will you see the maximum return on investment.